Located on the South side of the Tidal Basin, in Washington DC, the Thomas Jefferson Memorial was designed by John Russell Pope. Franklin Roosevelt laid the memorial's cornerstone 1939 and the monument was completed in 1943. 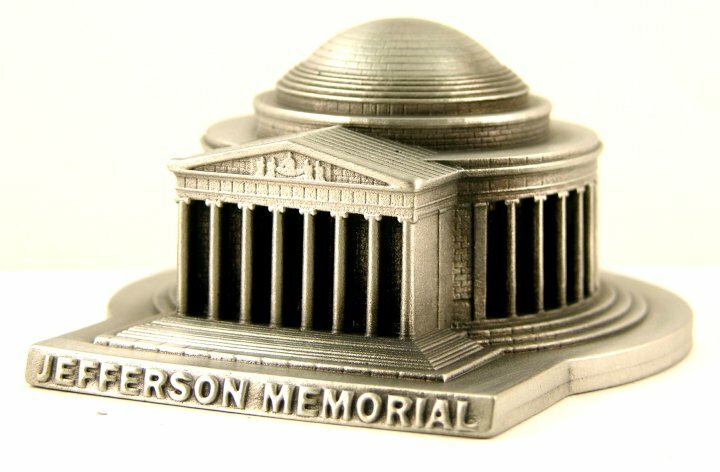 This replica monument is 1-5/8 inches tall and 3-1/4 inches deep. It is finished in antique pewter.